The Floating Empire: Closing in on it...okay mostly closing in. Another busy and productive day. 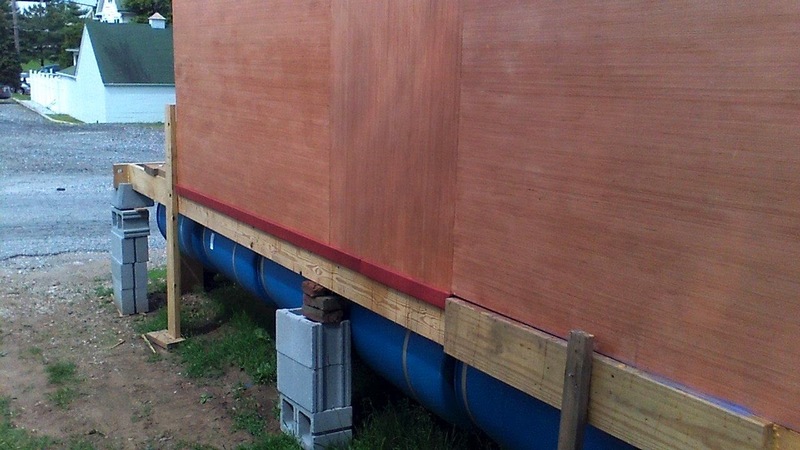 Today we finished the trim on the port and starboard sides. 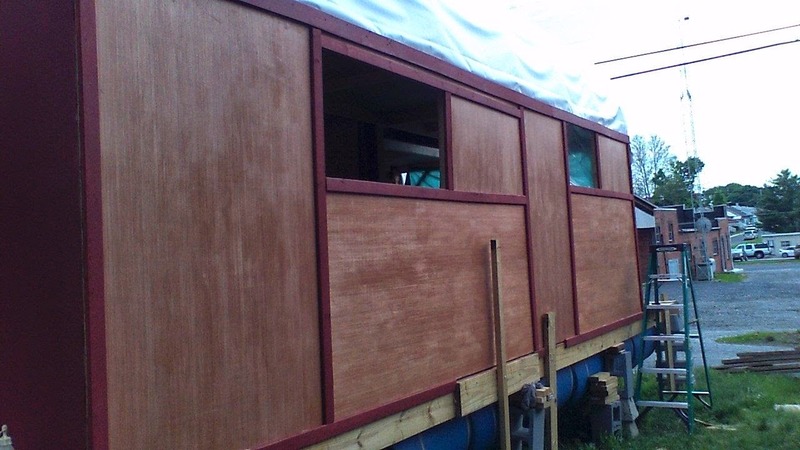 This isn't just decorative, the trim boards protect the seams in the side walls and frame the windows. The first trim board goes on: These are glued and caulked into place. Portside in progress. There are a few support posts I'm having to work around. We'll pop those on when we're on the trailer. Port completed. This thing is starting to look decent. 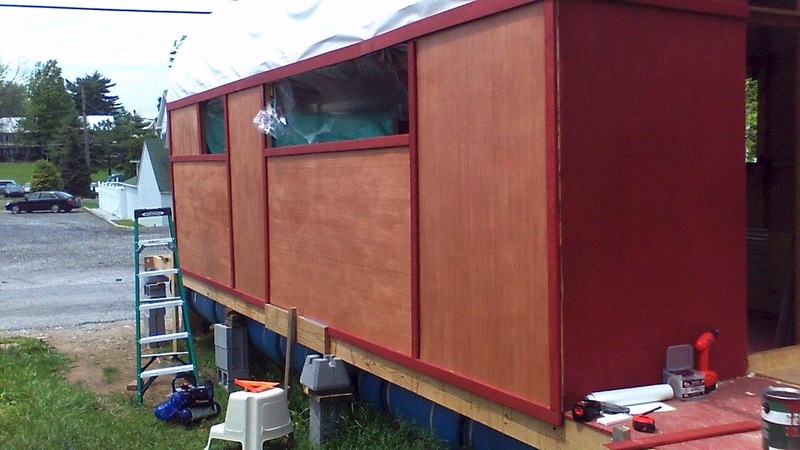 Also today we got the last of the window acrylic, the hinges, and other fittings we need to finish the glazing. 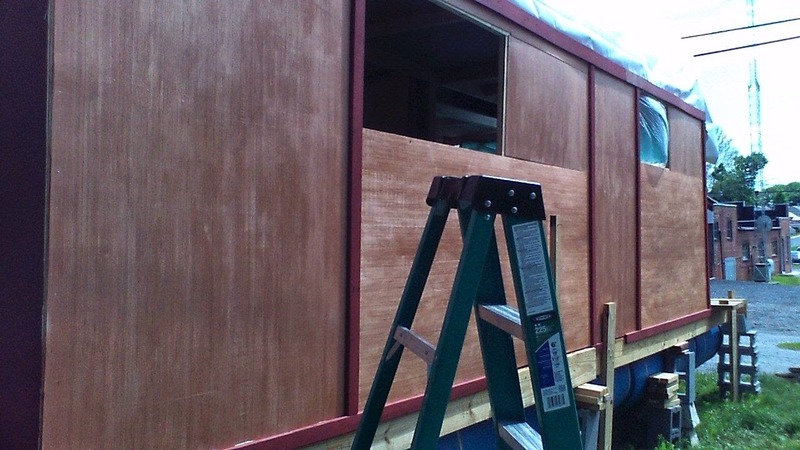 Tomorrow, since it's supposed to rain, I'm set up to go work inside the boat and finish the windows. Wish me luck.